The Grus-Quartet consists of four large spiral galaxies which are relatively close to each other. In that they should be interacting. The high starburst activity of two of the members, NGC 7552 and NGC 7582, is also thought to be a result from the tidal interactions. The distance to the galaxies is estimated to be between 55 and 70 Mly. Closer inspection of this image reveals that there are many deep yellow objects with fuzzy outlines. In fact these are distant galaxies hundreds of millions of light years away. 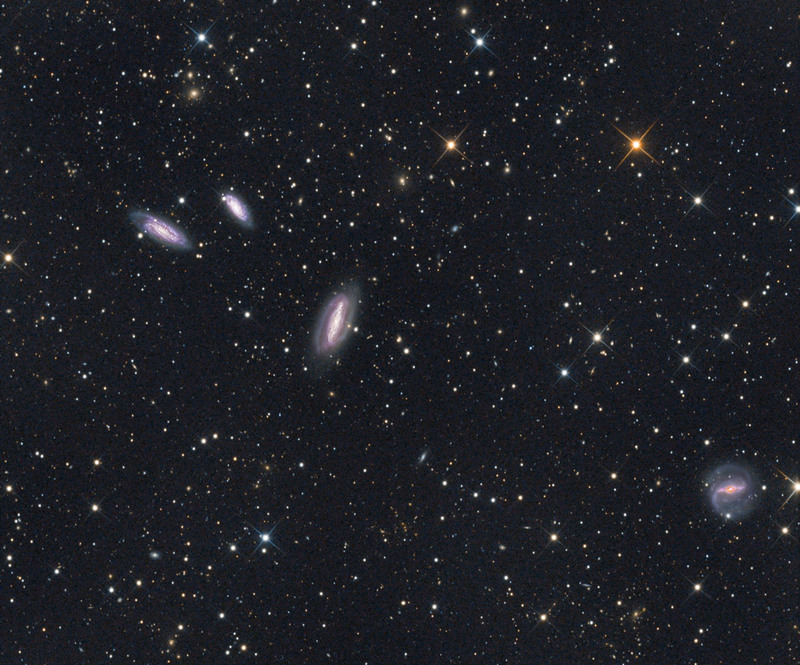 Above NGC 7590 and NGC 7599 is situated the substantial galaxy cluster Abell 1111, dominated by two giant elliptical galaxies - PGC 71042 and PGC 71043. A widefield image, taken with 16" DCA can be found here.